In 1951, during the war in Korea, Canadas National Defense Department produced a radio series titled Voice of the Army. The Howard Cable Concert Band was the main stay of this patriotic/public relations program. Half the musical content was military, the balance 50s pop. Thirty nine programes required two marches per show. I composed eight and at the wars end the music went to storage. 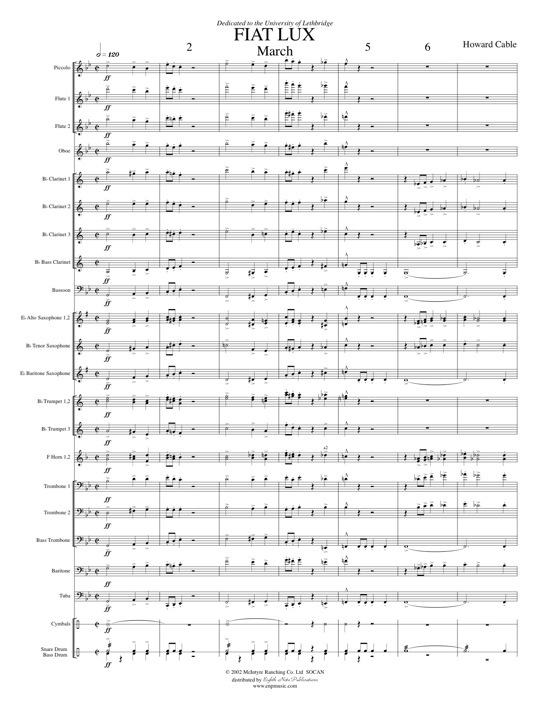 Some years later I re-constructed several of these forgotten scores; one of which is Fiat Lux - Dedicated to the University of Lethbridge.